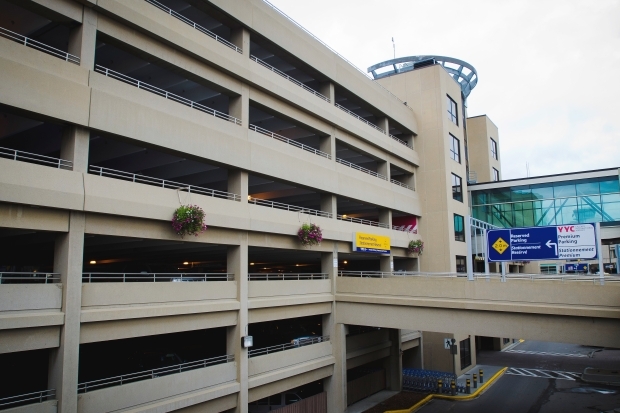 The Calgary International Airport has just announced that it is doing away with the free half hour parking zone at the airport! That first half hour will now cost you $3! The only place you can park free while waiting for someone to arrive is in the cell phone lot. But you have to stay in your car and there is a time limit! The days of greeting someone at the arrivals door are long gone! I remember greeting relatives from Wales and helping them retrieve their luggage from the carousel. Not anymore! Meanwhile at Calgary hospitals, parking is getting more expensive, too! I've heard of families from out here paying many hundreds of dollars in parking fees to visit a critically ill family member. On the day their loved one passes, the hospital will usually give a free parking pass for that day to those present at the time of the death! That's a small consolation for the hundreds, perhaps thousands paid before! If you're a Calgarian, you have options. You can take a taxi which might be equally as expensive or take the bus or LRT, but us folks out here are hooped. We've got to pay those high parking fees to pick up someone at the airport or visit someone in a hospital. I guess I'll just have to accept the fact that if you live outside Calgary's city limits, you're a second class citizen, at least as far as parking at hospitals and the airport is concerned!